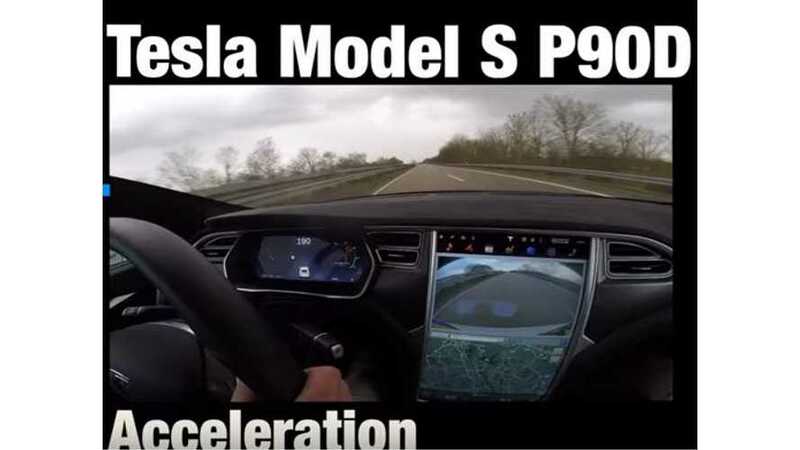 AutoTopNL took a 2016 Tesla Model S P90D with Ludicrous mode out on the Autobahn to conduct some top speed tests. The result is that the electric car hit its governed top speed of 155 mph in less than 30 seconds. A Model S can't maintain top speed for long, as overheating issues lead to power being dialed back, but still hitting over 150 mph in under half a minute is an impressive feat for an electric car.